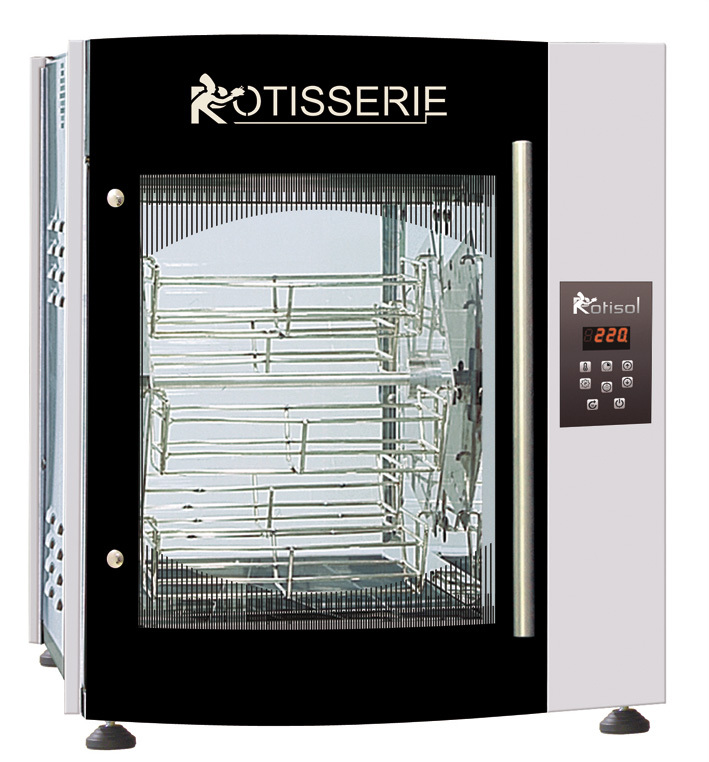 Roti-Roaster – The energy frugal electric oven style convection electric basket rotisserie. This electric basket rotisserie is great for applications where energy efficient compact cooking solutions are required. 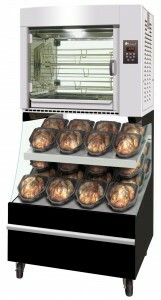 Energy consumption across this entire range is really good, with the 80 bird rotisserie only requiring 16.8kw to run. The smallest 10 bird appliance operates at 3.85kw, which is a touch over 15amps. Simplicity of load and unload. Relatively low site set-up costs.  Smaller sizes do not require mechanical extraction, making this an easy option for convenience stores and super markets. 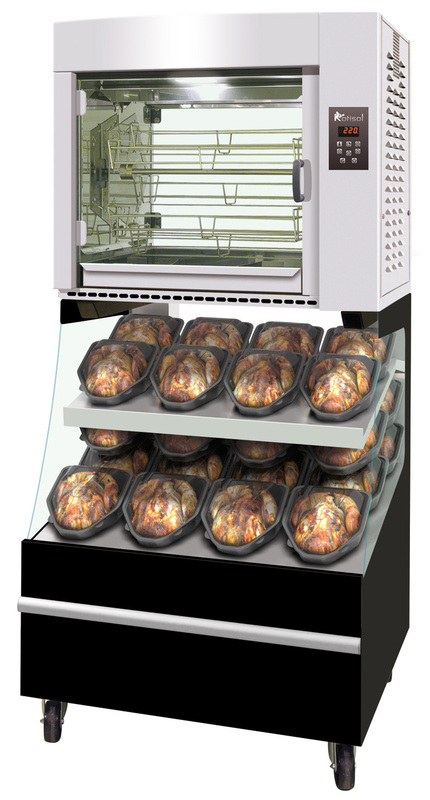 This electric basket rotisserie can be sold fully equipped as a convenience store cooking solution, with a heated base storage display to create a complete appliance for cooking and selling poultry and any other product that you may chose to cook. Please feel free to visit www.rotisol.com.au for more information.